Solutions Gurgaon is renowned for its diversified & extensive range of packaging products for Food, Beverages industries. 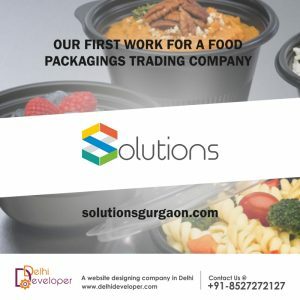 The company have a wide variety of quality products which includes cutlery, bio-degradable products, plastic glasses, plastic thermoforming containers, moulded plastic containers, paper cups, bakery related products, sealing machines,etc. The company believes in providing best solutions to our customers with best quality and services.